Rakhi Cards function as a beautiful means to communicate a sister's endless love & affection for her brother. These are very popular especially with siblings staying away from each other for varied reasons, & thus cannot meet on the auspicious day. Now wishes can be easily conveyed with so many varied forms of Rakhi cards coming into use. 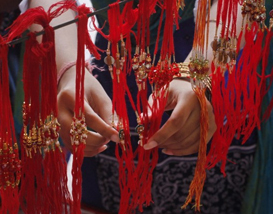 The greetings are used by siblings (both brothers & sisters), to express themselves on Raksha Bandhan. Rakhi cards have undergone tremendous change & makeover especially with remarkable boost in the production of customer-oriented products. This has even engulfed the traditional Indian festivals with rakhi cards now being available in Hindi language. This has further added to its popularity particularly with these cards becoming more expressive in outlook. 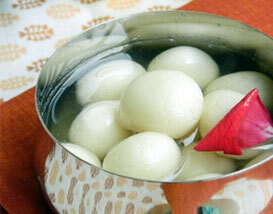 They reflect the soul of the sacred festival and the tender emotions & love of siblings for each other. Though, the moods of these cards may vary from extremely emotional to touching upon the naughty & playful nature of siblings rapport, merely through the play of words. These days, Rakhis with Rakhi Cards are becoming very much in vogue which is seen as a step ahead in adding charm to the undying charisma of the pristine festival as well popularizing the current fad of Rakhi Greetings. Customers are attracted more towards this two in-one offer where Rakhis are accompanied with Rakhi Cards. Further experiments with the product include Rakhi Cards available with a free small pouch of Roli-Chawal which only prevents the sisters from extra pressure of buying them individually. The cards are equally quite expressive in nature with beautiful play of words connoting the immense love of siblings. 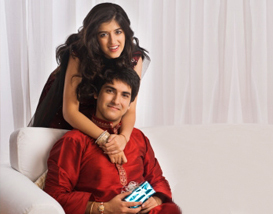 Rakhi cards are even handcrafted to strengthen the eternal bond of affection among siblings. This has gained momentum with young ones being encouraged to indulge in handcrafting special Raksha Bandhan Cards. The sense of personal touch & attachment to their loved ones manifolds apart from serving as a beautiful way of boosting the children's creativity aspects. Rakhi E-cards are one of the most popular types of cards being used by people to convey there love & affection for one another. The recent yet fast paced mode has become very much in fashion especially because it is time saving & has no boundary. It can reach any part of the globe within seconds & make the brothers & sisters, bhabhi feel at home & in touch with each other. Done successfully through the mere clicking of mouse & accessing the Internet facility, Rakhi E-Cards reach the targeted destinations in a very convenient manner. With people becoming more Internet savvy, they have started making extensive use of this mode which saves their precious time as well from shopping in the market & other tiresome tasks. These days, many E-Cards site offer free cards, thus, luring more customers which saves their every single penny spent on buying rakhi with cards. 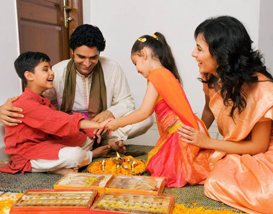 Virtual rakhi ceremonies in a virtual milieu are becoming quite popular & are being practiced in an elaborate manner by sisters for their brothers which includes the entire puja procedure accompanied with tika, akshat and arti performance. Greet2k.com: Offers free animated and musical ecards for Raksha Bandhan. 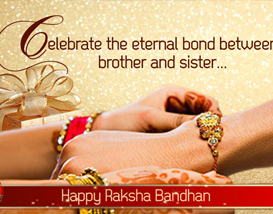 Rakhi Greetings - Rakhi Greetings, Rakhi Ecards, Free Raksha Bandhan Greeting Cards From Rakhi-Greetings.com.